CHA 2015 has just wrapped up. Bella Blvd released some fantastic new lines. One of my favorite collections is Color Chaos. This collection is perfect for someone who loves LOTS of color (me) this collection is a dream come true. It reminds me of the * Lucky Starz collection I was so excited when I saw the previews of this collection and I must say that in real life it's even better. 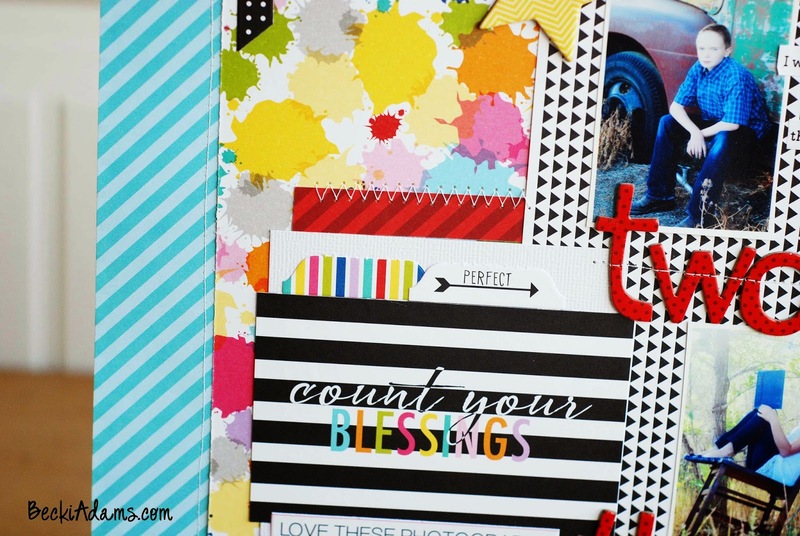 I created a layout titled "Count Your Blessings" and listed 3 of my blessings (my kids). I used bright red chipboard letters to spell out the numbers for each kiddo. Stitching chipboard letters down is easy and a great way to make sure they stay in place. I slowly run them through my sewing machine and I've never had a problem with them. Under each number I added a few strips of white cardstock that has journaling printed on it saying a few little things that I love about each of my kids. 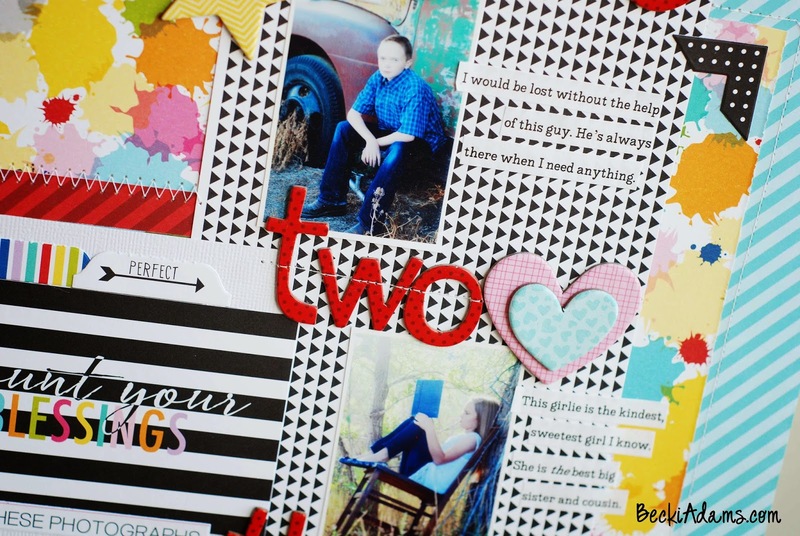 Because the patterned papers in this collection are so bold I kept my embellishing to a minimum and only added a few pieces of chipboard (hearts and stars). I finished things off with a little bit of machine stitching. The Color Chaos from Bella Blvd is so much fun to play with look for it to start shipping in February. This is just awesome!! The colours are so fabulous!! THanks Tracey! I think the color palette in this line is amazing! I can't wait to dive into this collection again. awesome page! 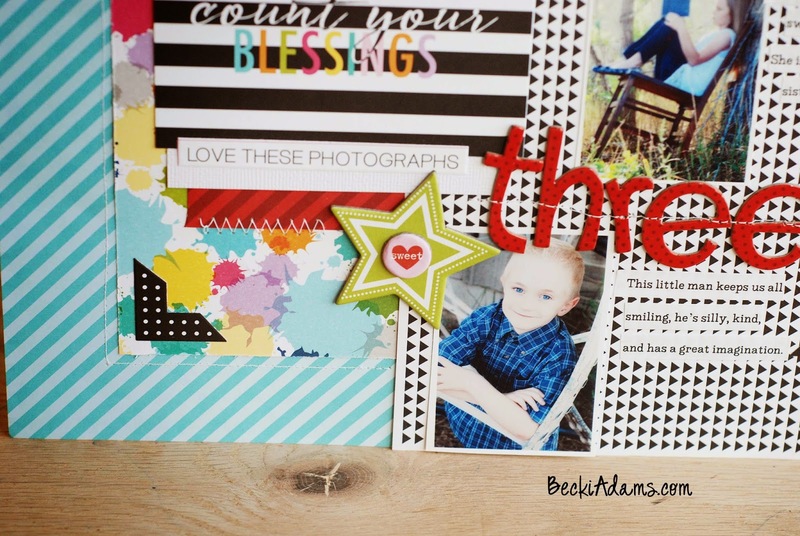 I am loving that splatter paper, and I love how you kept your embellishments simple to let the paper shine! Adorable page Becki!! 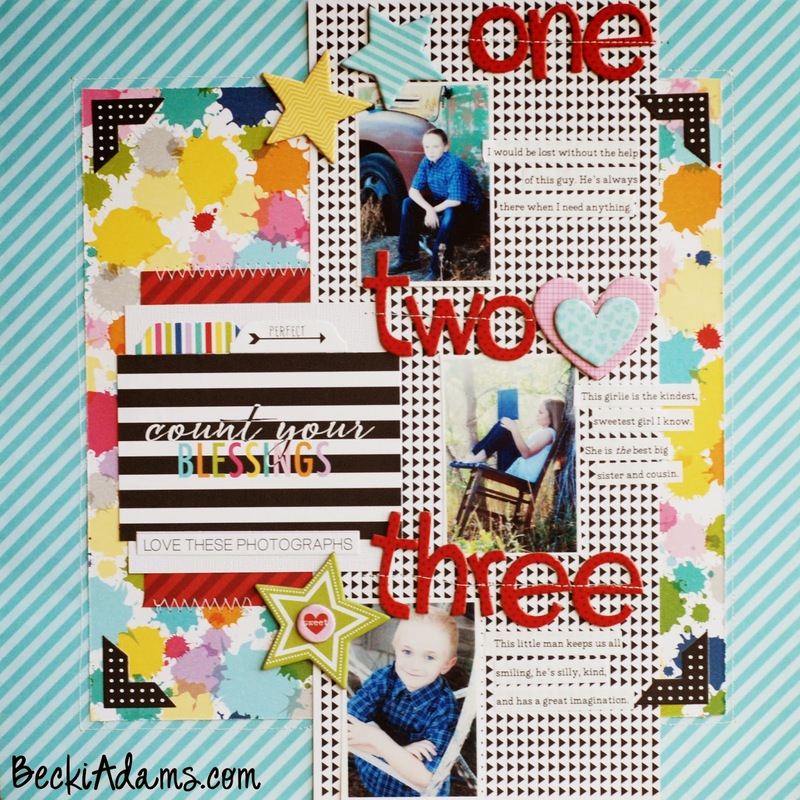 Love those bright colors with the black...and the title (and your cute kids!). I "pinned" it!! !